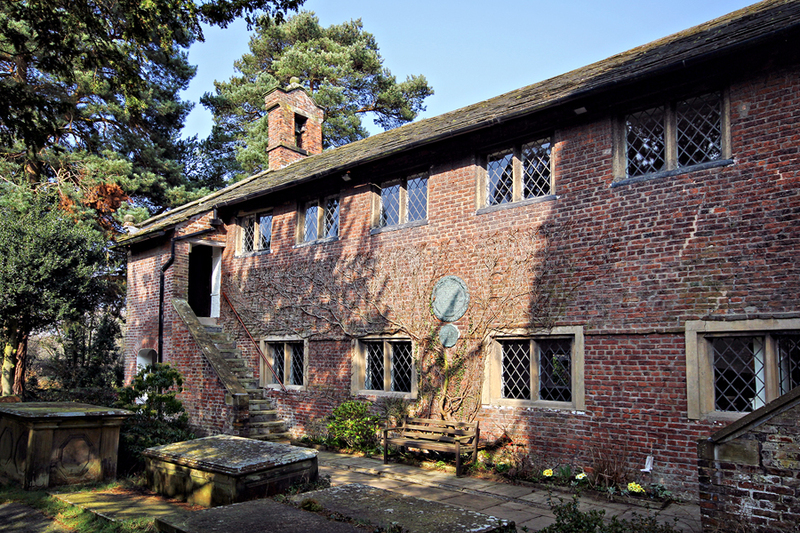 Dean Row Chapel is similar in designeto the Nonconformist Chapels of the same period in Knutsford and Macclesfield although the latter is in stone rather than brick. It was build in 1693 and was originally a Presbyterian Chapel but became Unitarian. Access to the upper storey is from staircases on the outside of the building. 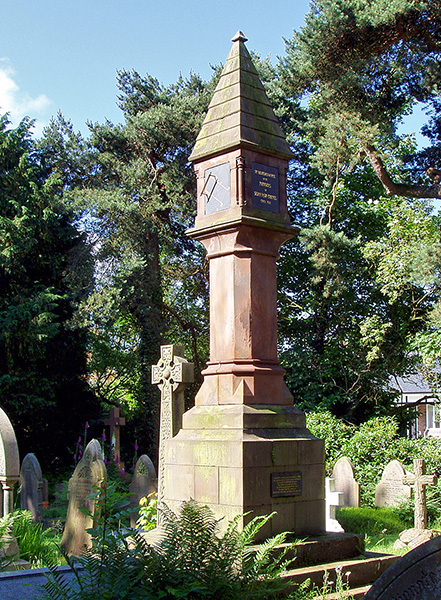 The War Memorial on the side of the Chapel reads, "To the Glory of God and in Memory of Robert (?) John Brandreth, Frank Brandreth, Arthur Blake Scott, Harry Williamson, Claude Swanwick Worthington, who counting not their lives dear unto themselves died for freedom and country in the Great War, 1914-1919. 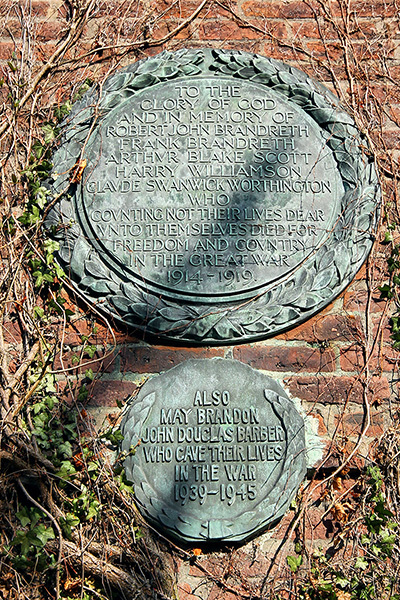 Beneath is a smaller plaque, "Also May Brandon, John Douglas Barber who gave their lives in the War 1939-1946"
A "resurrection" stone was placed on top of a grave to prevent grave robbers, or resurrection men as they were known, from stealing a body to sell to anatomists and medical students. The practice came to an end after the Anatomy Act of 1832 which gave medical men a legitimate source of cadavers to dissect. 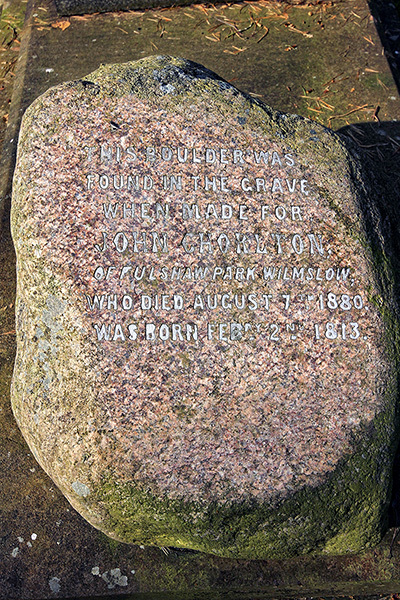 This stone bears the inscription, "This stone was found in the grave when made for John Chorlton of Fulshaw Park Wilmslow, who died August 1880, was born Feb 2nd 1813". It seems likely that the stone had gradually sunk into the ground following a burial more than 50 years earlier. The sundial bears a plaque with the following inscription: This 1871 sundial was restored in 1999 by contributions from chapel members to mark the 2000 Millennium. The three dials tell the time at differing periods of the day. The East dial for morning South for mid-day and West for evening. The chapel is not easy to photograph because there are trees in front; the use of a wide-angle lens was necessary to allow me to stand in front of the trees and still get most of the chapel in the shot. The resurrection stone was pointed out in a series of lectures by Ian May entitled Old Cheshire Churches given at Wilmslow Guild. A similar stone was found at Mobberley and used to stand outside the lych gate.